I don’t think that Japan is fundamentally different. In fact, the segment brought to mind my own childhood, during which I was on my own or with pals most of the day – no parents in sight 90% of the time from the age of six. I think the chief difference is an overarching paranoia in the West that has developed over the last thirty to forty years, where now, most people are convinced that child abduction by strangers is a lot rifer than, for instance, the 110 or so actual occurrences per year in the US. A recent episode of 99% Invisible – one of several podcasts I consider essential – explored how the milk carton missing kids of the 1980s contributed to that paranoia in this country. Invisibilia, another good podcast, recently examined a 1970s study Roger Hart did at a rural town in Vermont to discover where kids spent their time and what sort of secrets they kept from their parents. Returning to that town in 2004 revealed astonishing contrasts in attitudes – from the very kids in the original study, now adults. This Atlantic article goes into more depth on Hart’s return to the town thirty years on. 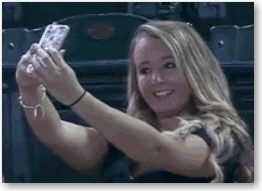 Afterthought: While ruminating on these ideas, it occurred to me that endless selfies may have their roots in the overprotective, overpraising, “You are the most special and precious snowflake in the world and nothing untoward must ever happen to you” style of parenting. If you grow up believing you’re that special, you might actually feel it imperative to take pictures of yourself several times a day, if only to provide documentation for future historians and biographers. This entry was posted in Gallimaufry. Hummm. Interesting. I disagree w your first “Japan isn’t fundamentally different.” japan is fundamentally different especially where kids are concerned ! Apart from our three person family, there were 5 other english as a mother tongue, speaking people. 2 of those were morman missonaries. The first month of doing that trip, by myself, i forgot my bookbag on the tram part of the journey. Panic aboard ! The very next morning it was returned to our house by the man that took and delivered the dry cleaning ! Another time missed the bus and was crying bv the road…and a car stopped. The man said “Doko ika deska ? and I said “Nihon daira” which was quite far away and he said Ok and I got in and he drove me up there. Not saying a word. Today that gives me jitters. But it shouldn’t ! Japan is (or was ) light years away from the west’s numbers regarding child abuse ! Children there are treated differently. Should add, having experienced abuse, it doesn’t go away ever. I’ve listened to your podcast and the “fear” described, well… I understand it. As an adult, I’ve chosen to live in a city where there is an incredible presence of police and security (various types of soldiers etc . That said, it doesn’t feel like a police state. But walking home late at night ? No different than in the day. That is palpable for me. I don’t live in a “fearful” world. But I am aware. Especially where kids are concerned. My radar is always on. So aren’t you just a little bit hard on those mothers that were waiting near their kids at the bus stop ? The moon within five years? Barrie Mellor on The moon within five years? "P.S. If I was on this mission, I'd let the damned thing run, too."